The Hawaii Supreme Court, by majority decision, today issued its opinion affirming the Board of Land & Natural Resources’ decision to issue a Conservation District Use Permit (CDUP) for construction of the Thirty Meter Telescope (TMT) on Maunakea. Work on the telescope on Maunakea was halted in 2015 when the Hawaii Supreme Court invalidated the Conservation District Use Permit on procedural grounds. That permit had been issued by the Board of Land and Natural Resources (BLNR) to the University of Hawaii Hilo to build TMT on Maunakea. The Supreme Court returned the case to the Hawaii Circuit Court and instructed that a new contested case hearing be conducted The contested case got underway in October 2016. Following 44 days of testimony by 71 witnesses over five months, the hearing concluded in early March 2017, and hearings officer Riki May Amano in July 2017 recommended that a state Conservation District Use Permit be re-issued to allow construction of the project on Maunakea. On Thursday, September 28, the State Land Board announced its decision to approve the Conservation District Use Permit to build TMT on Maunakea. Opponents challenged the new permit before the Hawaii State Supreme Court. Today’s ruling affirms BLNR’s decision to issue the CDUP. As for next steps, TMT will move forward with fulfilling the numerous conditions and requirements of the state CDUP prior to the start of any construction. The Akamai Workforce Initiative, a local program dedicated to advancing Hawai‘i college students into science and technology careers, recently wrapped up its 2018 summer internship program with a series of symposiums highlighting the interns’ work. With lead funding from the Thirty Meter Telescope, the Akamai Internship Program provides community college students and undergraduates with summer projects at observatories and other high tech companies in Hawai‘i. This year’s cohort of 38 student interns were from Hawai‘i or enrolled at a University of Hawai‘i campus. The students received credit from University of Hawai‘i at Hilo as part of the program. The internship began on June 17 with a preparatory course taught by Akamai instructors, followed by a seven-week project at various observatories and facilities on Hawai‘i Island, Maui, and at TMT at the University of California Santa Cruz or Pasadena in the TMT project office. The Akamai Workforce Initiative is designed to build tomorrow’s high-tech workforce by providing support to local college students over a broad range of science, technology, engineering and mathematics (STEM) fields. Each student is matched with a mentor and is integrated as a member of the mentor’s group with daily guidance. Akamai mentors are prepared to provide an experience that will support their intern’s persistence in STEM, while they complete a real project valued by their host organization, through a unique workshop offered in May. The careful attention to mentoring, the preparatory course, and an ongoing communication course, are all important elements of the program and have been attributed to the program’s success. Since launching in 2002 and including the 2018 cohort, nearly 390 college students have participated in the Akamai program and at least 140 alumni are now working in science and technology jobs, with nearly two-thirds of them working in Hawai‘i and contributing to the local STEM workforce. Akamai accepts college students from Hawai‘i (80% graduated from a Hawai‘i high school or were born in Hawai‘i), and a key objective is to increase the participation of underrepresented and underserved populations in STEM. So far, the Akamai Workforce Initiative alumni demographics include 37% women, 24% Native Hawaiian, and 47% underrepresented minorities. 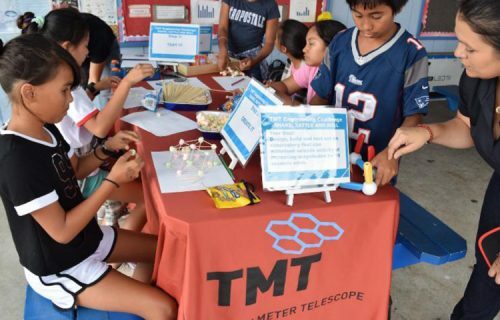 TMT worked with the community to develop programs that will prepare Hawaii Island students for future STEM jobs. TMT is committed to a model of sustainable astronomy; one that respects the unique environment of Maunakea. 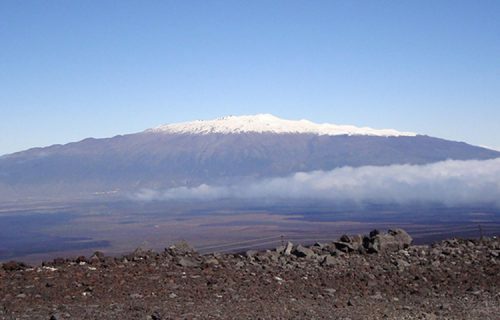 Great care was taken to identify the best location for TMT out of respect for Maunakea’s rich history and the spiritual beliefs of native Hawaiian culture. Astronomy directly supports about 1,000 jobs in Hawaii and has a total economic impact of $167.86 million statewide. 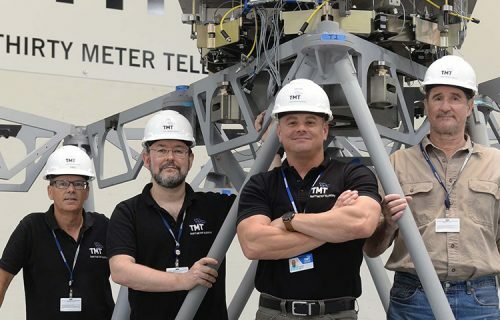 Given its advanced technology, TMT will enable scientific discoveries that we cannot even begin to anticipate today. Hawaii’s business community support TMT because of the many benefits it will bring to Hawaii Island, the state and its people. TMT supporters are speaking out for science, education, the environment, culture and community. Community members are voicing their support through opinion-editorials and letters to the editor. 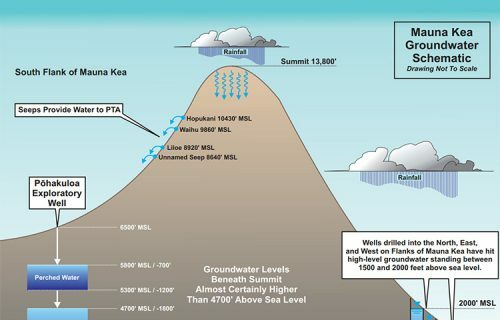 Multiple polls have shown that there is majority support in Hawaii for TMT on Maunakea. A statewide scientific public opinion poll was conducted in October 2015 by Ward Research, Inc., an independent research firm based in Honolulu, Hawaii. Ward Research quota sampled for key demographic characteristics (e.g. age, ethnicity, gender, and island of residence). The demographics of the sample match the demographics of the community based on Census data. The margin of error is +/- 4%. Download: full poll results here. Do you agree or disagree that there should be a way for science and Hawaiian culture to co-exist on Maunakea? Do you support moving ahead with construction of the Thirty Meter Telescope on Maunakea? Do you agree or disagree that TMT has followed a lengthy approval process, including permitting, community meetings and environmental impact statements, so work should proceed?